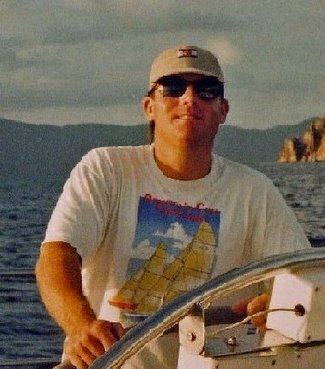 A friend a work tipped me off to a sailing blog called "Rule 69." Its editor, Magnus Wheatley, is posting some terrific coverage of the AC with photos (and advertisements) galore. It's a slick job, no doubt, but someone has to make money from this blogging thing...and given the Magnus bio (see below) we can trust that the commentary is solid. Thank God the wind came up in Valencia! Magnus Wheatley has been a yachting commentator for the last decade having spent the first ten years of his career in a soul-less office in the City of London as a currency trader. Since jacking in the day job back in 1999 in he has covered two America's Cups, the Athens Olympic Games, multiple Cowes Weeks, numerous World, European and National championships and is one of the most recognized voices in the yachting community. Magnus Weetbix is nothing more than an English Prat with a major chip on his shoulder that the Brits cannot rally sufficient talent on their own to mount an AC campaign in their own backyard. So he spends his time pumping up his compatriots that are in the AC and articulating why they should be making a bigger contribution than they are - the answer is obvious since Captain Cook died the Brits have forgotten how to sail. Check the medals for sailing at the last few Olympics before you claim that Brits have forgotten how to sail. can't remember seeing one hanging around magnus weetbix's neck - though he writes like he has quite a few in his closet. notwithstanding my previous comment, Tillerman I respect you as a blogger and therefore I am happy to acknowledge some real talent in British sailing - always has been(infact up until 15 I lived in York) - I was just trying to get my point across that Magnus Weetbix is a jerk. The ranting bloggers do seem to be sporting shoulder chips. First it is Scot Tempesta with his Sailing Anarchy, and now Magnus. Rather frightening the following these sites get, but they do encourage their viewers to rant along. Anyone remember the "Circle Jerks.?" Seems like they're back.